A view of the T2K near detector, ND280. The T2K Collaboration gathers about 500 physicists from 59 institutes in 11 countries. T2K is a longue-baseline off-axis neutrino experiment for the study of neutrino oscillations using a beam of muonic neutrinos produced at the J-PARC Japanese facility, and measured at short distance (280 m) by the ND280 detectors and at large distance (295 km) by the Super Kamiokande water-Cherenkov detector. The data taking started in 2009 and will extend until 2020. The Irfu group has participated to the design and construction of the set of three large TPCs of the near detector ND280, and is involved in data analysis of both near and far detectors. The group is noticeably interested in precise measurements of neutrino interaction cross sections on various targets, with the goal of reducing systematic uncertainties in oscillation parameter measurements. Following a major involvement in the design studies for the next generation long-baseline experiments in the context of the European LAGUNA-LBNO project, the group now participates to the construction of the dual-phase liquid argon prototype WA105 at CERN, whose aim is to validate the technology for the far detector of the long baseline project DUNE (Deep Underground Neutrino Experiment) in the US. The group shows interest in the new phase of the T2K experiment, with a more intense neutrino beam from J-PARC to Super Kamiokande, and more performing near detectors. The groupe entertains close links with the Hyper Kamiokande project, a megaton-scale water-Cherenkov detector that could take over Super Kamiokande and give access to a significant observation of CP violation in the leptonic sector using neutrinos from J-PARC. 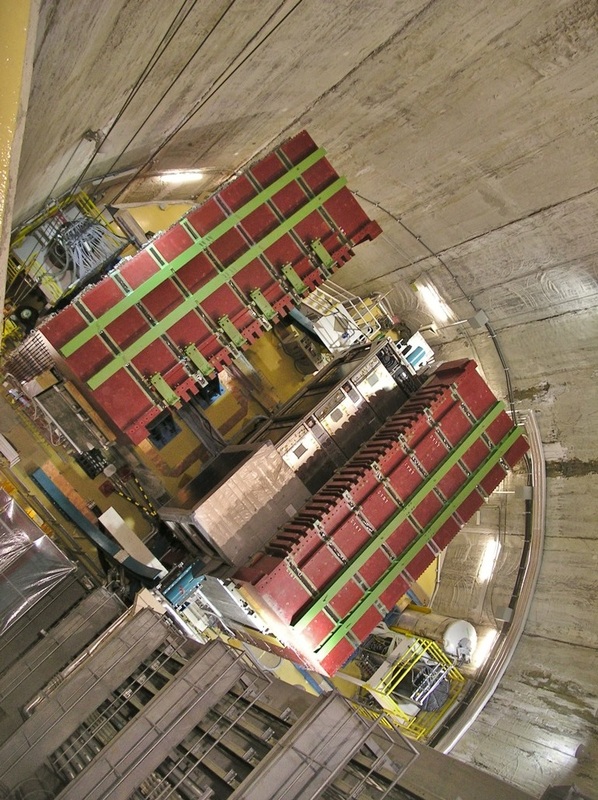 LUMINEU (Luminescent Underground Molybdenum Investigation for NEUtrino mass and nature) is an ANR project devoted to the search for neutrinoless double beta decay (0νββ) of the 100Mo isotope of molybdenum, which is one of the most promising for both kinematical and theoretical reasons. The observation of such a decay, which does not obey lepton number conservation, would establish the Majorana nature of the neutrino. A non-discovery along with stringent cosmological constraints on the sum of neutrino masses could strongly disfavour the hypothesis of inverse hierarchy of neutrino masses. LUMINEU is an R&D activity, which explores the technology of cryogenic bolometers based on scintillating crystals, in particular crystals of Li2MoO4 enriched at the 99% level in 100Mo. Several of these detectors are being studied within the cryostat of the Edelweiss experiment at the Modane underground laboratory. The high-energy neutrino SPP group gathers five physicists, one post-doc researcher and three PhD students. The group leader is Marco Zito. Eduardo Mazzucato is the scientific responsible of WA105 at Irfu. The LUMINEU group gathers four physicists. Claudia Nones is group leader.